The Villas at Rancho San Joaquin offer a prime location near the Irvine Spectrum shopping center, Oak Creek golf club and Irvine Valley college. 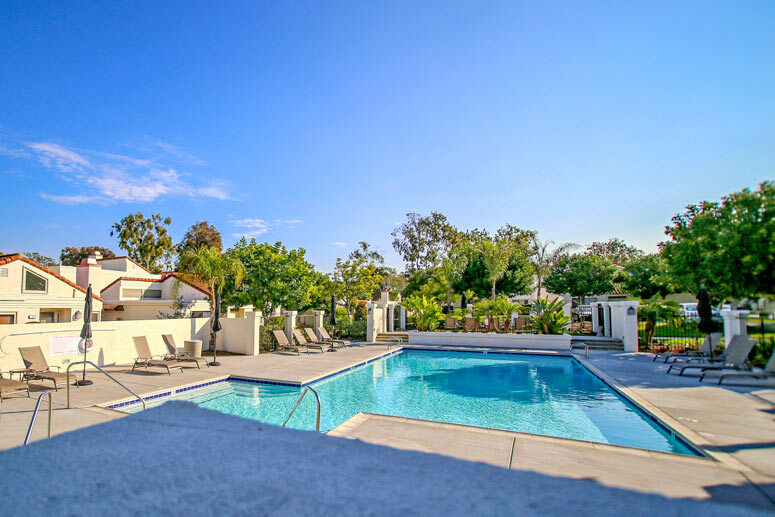 The community is small but offers a lot of amenities including a resort style pool as pictured above as well as tennis, sports court, gym and spa. The homes are built in the Spanish style and offer high ceilings and small patio backyards.